In New Hampshire, driving a vehicle while impaired by alcohol not only puts others at unnecessary risk but is against the law. Manchester residents seeking a lawyer after a car accident can consult Attorney M. Jeanne Trott to help them understand their legal rights. For over 25 years, Ms. Trott has provided compassionate and efficient representation to her clients. As a former nurse, she assesses injuries in a thorough and complete manner, helping victims to pursue the full amount of compensation they deserve. If you or a loved one has been involved in a collision caused by a drunk driver, Ms. Trott is prepared to aggressively assert your rights. Under New Hampshire law, driving with a blood alcohol concentration of 0.08% or higher may lead to criminal charges. A reasonable person is not expected to drink past the point of intoxication and then drive a car. It is illegal per se, and often drunk drivers exhibit reckless or distracted behaviors, such as failing to yield at intersections or driving over the speed limit. If this causes a car accident and harms another person, the driver may be found negligent and held liable. If a drunk driver causes a car accident, the victim or the victim’s family may seek to retain a lawyer to bring a personal injury lawsuit against the driver for damages. This civil lawsuit is a path to recovering compensation for the victim’s costs and losses. In a personal injury claim alleging negligence, the victim generally tries to show that the other driver did not behave as a reasonable person would have behaved under similar circumstances. First, the victim must demonstrate that the defendant driver owed him or her a duty of care. Also, there must be evidence that this duty was breached and that this breach caused injuries and quantifiable damages. 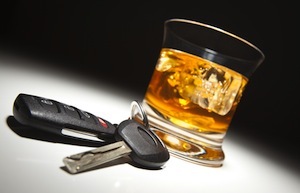 A potential issue in a drunk driving collision may be comparative negligence. Under this legal theory, a plaintiff cannot recover damages if he or she is found to be more than 50 percent responsible for causing the crash. For example, if the victim, at the time of the accident, was holding a cell phone and chatting, the court might allocate a portion of fault to the victim as well as the drunk driver. Assuming the victim was less than 50 percent at fault, he or she may recover an amount of compensation that is adjusted to reflect his or her responsibility. Drunk driving victims or their loved ones may be able to recover damages as the result of a personal injury lawsuit. If a victim suffers a tragic death, his or her family or representative may file a lawsuit alleging wrongful death. Damages sought by a plaintiff in a negligence claim typically include both economic and non-economic forms of compensation, such as lost wages, medical expenses, damage to a vehicle, and pain and suffering. In New Hampshire, a victim who sustains injuries due to the negligence of a drunk driver may also be entitled to liberal compensatory damages. This type of damage can be asserted when the accident involved aggravating circumstances that are found to be “malicious, wanton or oppressive”. After a car or motorcycle crash in the Manchester area, you should enlist an injury lawyer who can pursue any legal options that you may have. Attorney M. Jeanne Trott serves residents of many New Hampshire communities, including Bedford, Auburn, Goffstown, and Nashua. Ms. Trott can be reached at (603) 624-7500 or through our online form. We offer a free consultation to discuss your case.